Clay modelling is an interesting activity in the school. Children of classes Pre-Nursery to KG model freely with clay. 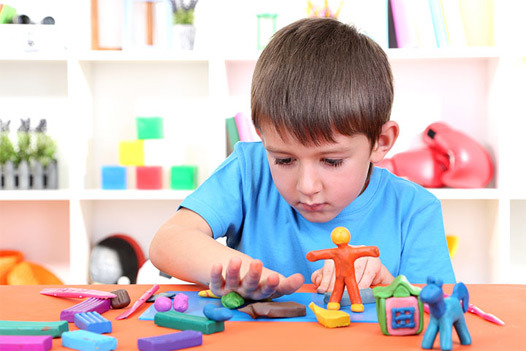 The atmosphere in the classroom becomes peaceful and contemplative as the children become absorbed in their task. From class I, clay modeling lessons begin, first with simple geometric solids and their formation into animal forms such as a sleeping cat and resting deer. Lessons are designed to integrate with the topics of the main lesson and so children will find themselves modeling various natural forms from animals, plant forms and human figures, to mountain landscapes and geological formations.